Through business and innovation, they’re shaping the future of social and environmental responsibility in enterprises and non-profits. "In order to make real, lasting impact in the world, we need to create a new wave of leaders who want to make a positive difference, know how to do it, and have the right community behind them. The fact that our chapter has truly created that community makes me feel really hopeful about the change our members can make." 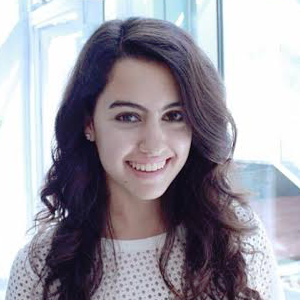 Deena has been involved in Net Impact for three and a half years and is currently her chapter's president. Cal's chapter is run as a consultancy for businesses and nonprofits. 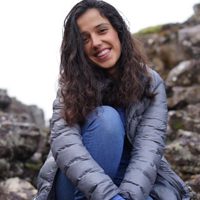 One of her main projects focused on food sustainability where Deena led her chapter to craft a go-to-market strategy for an innovative company looking to make an alternative meat product with a significantly smaller environmental footprint than conventional meat. They tackled questions on how to make avid meat eaters curious about their client's product, where to best sell it, and even what to name it. Deena's grateful for these opportunities and the community of driven, compassionate people who care about making a positive difference in the world through social impact. Deena is an enthusiastic and strong leader with a passion to empower changemakers on any team she leads. 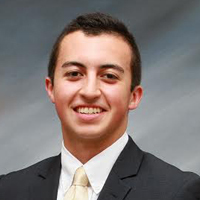 As president of his chapter, Brian emphasizes bringing experiential learning to his team and chapter members by partnering with local businesses and creating opportunities for them to gain consulting experience in the social and environmental impact space. For one project, Brian's team did market research, sales and investment forecasting, as well as strategized a study abroad program for a sustainable tea company that provides development opportunities for small-scale tea farmers in India. In addition to consulting with sustainable businesses and nonprofits, Brian's chapter created the first regional sustainability conference, put on solely by undergraduate students called SPRNG (Sustainable Practices Raising Net Growth). SPRNG Conference has workshops, breakout sessions, and keynote speakers. Past speakers have included former CEO of Patagonia, a regional president of Whole Foods, and COO for the Green Sports Alliance. Last year, Brian and his chapter were involved in Net Impact's partnership with Toyota where they hosted a successful two-day design sprint where students came together to imagine solutions around community, connectivity, and sustainability in transportation. Even though Brian was abroad in Chile part of the year working on ecological projects, but was still able to churn out another successful year for his chapter. 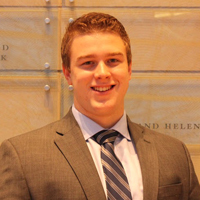 "My involvement with Net Impact has led me to two different internships. The first for Denver architecture firm RNL Design—getting them to become one of twenty B Corp-certified architecture firms in the world and creating a longterm sustainability plan. The other internship was as a product ambassador for Boise-based Vivid Roots—a clothing company that helps bring pure water to communities in Guatemala and Ecuador. These experiences began to show me how the power of business can be leveraged and used as a force good when authentically harnessed. We’re surrounded in a world with complex challenges that require a circular understanding to create sustainable solutions. The last three years at the University of Oregon have shown me that these solutions are very attainable when surrounded by a group of driven individuals—it’s a team effort—and Net Impact is the team I want to be on." 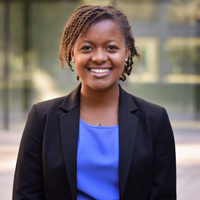 Zoe has been involved in Yale's Net Impact chapter almost two years and now serves on the executive board as the Internal Vice President. She plans professional development workshops throughout the semester and oversees and mentors the chapter's project managers. Last year, her chapter organized the local Hult International Business Prize Competition (in the Center for Engineering, Innovation, and Design at Yale) where winners attended a startup accelerator for social enterprise hosted by the Hult International Business School. Along with other leaders in Yale's chapter, Zoe has grown their client bass and strengthened the chapter's consultant training program. Their client base has grown to work with larger companies and established NGOs. "Net Impact has definitely been a source of professional development for me. I now have experience with hearing an issue or project, and finding the right questions to ask to find the most efficient solutions. I've also developed my research and managerial skills in both the project manager and the internal vice president roles." "We've stayed very busy in our first year as a chapter, but as a chapter leader I'm most proud of our ability to invest in our members. I've made a conscious effort to provide opportunities for membership, and we're definitely seeing the results." Under William's leadership, Florida A&M University's chapter has grown tremendously in its first year and hosted one of the most successful design challenges in the Net Impact network: Toyota's Next Generation Mobility Challenge. The challenge brought students together from all majors to design solutions for mobility -- specifically for individuals who have difficulties with public transit. Even though it was William and his chapter's first event they hosted, they had an incredible attendance of over 400 students. 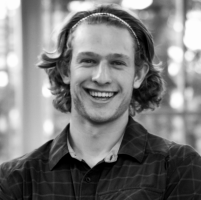 Besides hosting social impact events, William wrote grants to improve his campus community and was able to fund a $10,500 project to increase the use of recycling recepticles on campus. He's used his experience with grant writing to train and mentor other chapter members. He helped two members create their own project worth $30,000 for water bottle filling stations and hand dryers to eliminate extra campus waste. "I'm a first generation college student, so I came in with little knowledge of the professional world. Net Impact allowed me to put my passion for sustainable and positive social change into practice in a professional way." As President of Net Impact BU, Summer has led her team in partnering with Starbucks, Kill the Cup and Sustainability@BU to increase the use of reusable mugs on college campuses. They have outperformed other universities and won their division in social media responses to their campaign. Summer has also been a critical player in bringing an annual panel to BU’s campus that highlights “green” startups, corporate social responsibility, and other social and environmental issues. 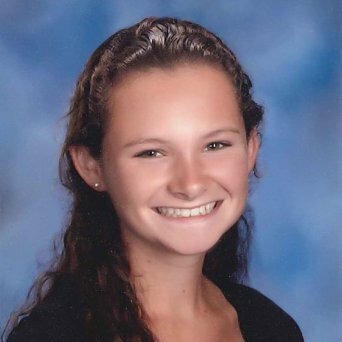 Summer has excelled in taking her passions of sustainability and positive social change by to a more professional level through Net Impact. She has already received a job offer after graduation to track the spread of invasive aquatic plants and study the impacts of climate change on lake ecosystems. "I’ve met students who are inspired to change the world and Net Impact has given them the background to get started. This community has inspired me to grow and learn about new industries and practices that might help build a more sustainable world. Net Impact has also opened up a network of opportunities for me to explore, even after I graduate from NYU." Bhavya has been a part of Net Impact for three years and currently leads NYU Stern's chapter as co-president. One of NYU Stern chapter's greatest accomplishments is founding the Net Impact Collaborative Experience (N.I.C.E) in 2014, which has now been implemented by Net Impact chapters across the country. 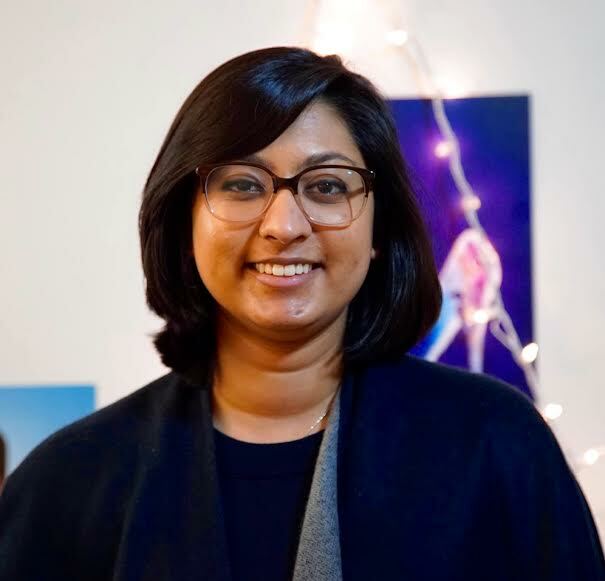 Bhavya and her chapter collaborate and consult student organizations and social startups across NYU's undergraduate and graduate schools to tackle some of their most pressing issues, such as food security and educational equity. 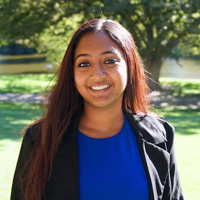 Bhavya, along with the rest of her executive board, strive to provide their members with internship opportunities and make it their goal to show potential career paths in business outside of the traditional financial sector. She organized a panel with several Community Development Financial Institutions (CDFIs) to showcase internship opportunities interested in making an impact through finance. "I struggled with justifying a degree in business because, my career aspirations are environmentally and human rights centered. I wasn’t enjoying my coursework and seriously considered switching to an environmental management degree, even though I believe the biggest impact in environmental stewardship and economic empowerment can be, and needs to be, made through big business. My involvement in Net Impact kept me from switching my major because it taught me how a bottom-line mindset can be used to positively bring about societal change." In Megan’s three years involved in Net Impact Indiana, membership has grown from 20 members to maintaining over 100. She was drawn to Net Impact because of her business-oriented environmental and human rights centered career aspirations. Under her leadership, Indiana’s Net Impact chapter partnered with socially responsible businesses and on-campus organization in implementing sustainable initiatives. They were successfully able to divert several tons of waste from the landfill each football game by partnering with the athletic department’s Greening Cream & Crimson program. One of the chapter’s greatest accomplishments was recognizing the need for an academic program to address social and environmental problems from an economic perspective, which led them to create and establish a Sustainable Business co-major within the Kelley School of Business that is now growing in size each year. The chapter is currently working to host the business school’s first Sustainable Business Career Fair, which will give interested students a gateway into the field.program to address social and environmental problems from an economic perspective, which led them to create and establish a Sustainable Business co-major within the Kelley School of Business that is now growing in size each year. The chapter is currently working to host the business school’s first Sustainable Business Career Fair, which will give interested students a gateway into the field. 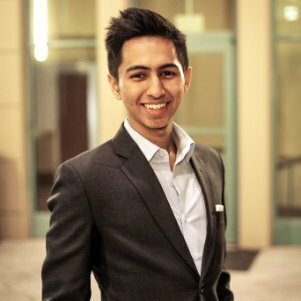 Rohan is currently a Senior Advisor of Cal’s chapter, but has previously held External VP and Project Manager positions. During Rohan’s three years in Net Impact Berkeley, he has played a large role in fostering a culture with dedicated and engaged members who voluntarily spend 15 hours a week together working on five consulting engagements per semester with top Fortune 500 companies, social impact startups, and nonprofits. His main contribution to the chapter was overhauling the recruiting practices to a systematic process with five touch points focusing on different aspects of candidates ranging from professional ability, business and strategic thinking, personal character, and mission fit. The large amount of data collected on each candidate allows Net Impact Berkeley to make high quality recruiting decisions -- meaning higher quality solutions for their clients. "Net Impact has provided me with opportunities to interact with a variety of people in different disciplines from students and faculty to professionals who have the desire to create a social impact in our community." Audrey is the president of her school's Net Impact Undergraduate chapter and has been involved with Net Impact for two years. Under Audrey's leadership, her chapter partnered with Net Impact and Toyota for a design sprint that explored the challenges within the automotive transportation system called the Next Generation Mobility Challenge. This year, they hosted a successful Sustainable Practices Raising Net Growth (SPRNG) conference where students and professionals came together to discuss sustainable business practices. "All the people I've met through Net Impact have an incredible drive to accomplish great things and really make a positive impact on the people around them. That passion motivates me to do the same and really think about how I can give back to the community and people that have done so much for me." Indu is currently the president of her Net Impact chapter and was named Chapter of the Year for all of the amazing projects and efforts they've accomplished. Indu has taken on the mission of engaging students to think deeply about sustainability in business. One of the initiatives she began while president is Connecting Carlson. This was a unique campaign University of Minnesota's chapter ran in partnership with their student government to showcase the diverse people on their college campus. The effort was appreciated by faculty and senior leaders at their school. "Net Impact introduced me to a community of like-minded people who are passionate about what I'm passionate about. I made incredible friendships through Net Impact and honestly feel that my life is better off because I joined a chapter on a whim my freshman year. 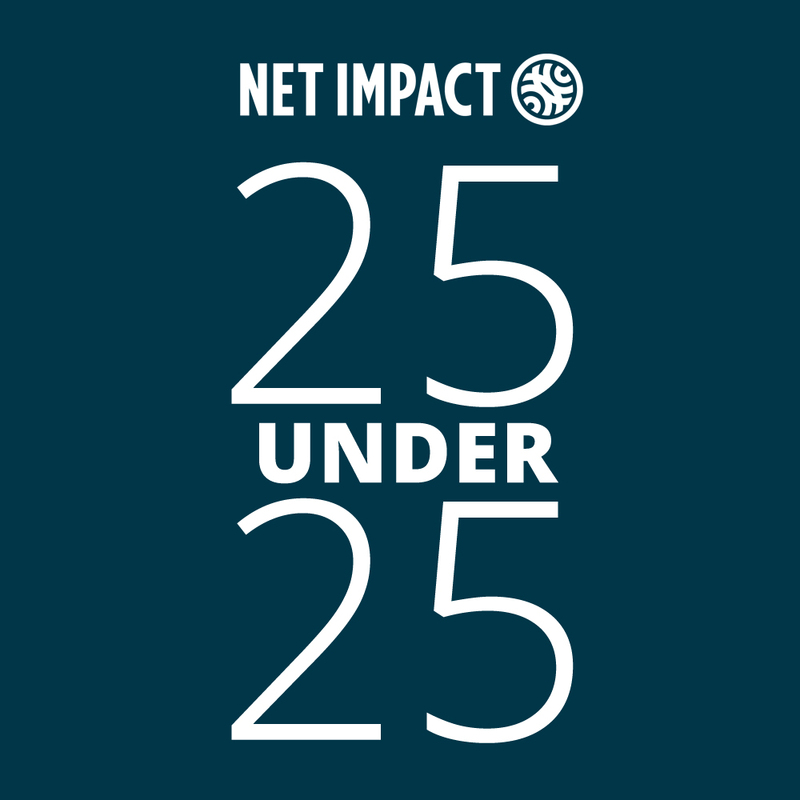 Net Impact has also empowered me to be knowledgable about topics and themes in the CSR and social entrepreneurship world, which has impacted my confidence when applying to jobs or talking to leaders in the industry. I wouldn't be who I am today without the support of Net Impact, National as well as the Ithaca-based chapters, and I sure wouldn't have as many quality friends or stories to share." Samantha has been involved in Net Impact for over two years. 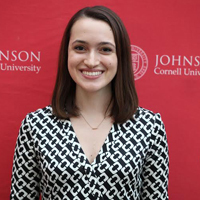 She founded the chapter at Cornell, and along with other chapter members, Samantha started the Cornell University Social Impact Conference (now called Cornell Business Impact Conference). The conference brings many different departments and clubs on campus together for a common cause. In addition to their annual Business Impact Conference, Cornell's chapter hosted an event with Jeff Furman, chairman of the board of directors at Ben & Jerry's which attracted about 70 students. Cornell's chapter reached Gold status under Samantha's founding and leadership. Sarah has been involved in Net Impact for almost two years and currently sits on the executive board as her chapter's president. Ohio State's chapter operates as mulitple teams implementing sustainability projects on campus and in the local community, and under Sarah's leadership they've adopted two new projects that have helped their campus not only become more sustainable, but also helps their members gain valuable skills and experience. The first project is a cost-benefit analysis of the OZZI reusable container system that has 8 students analyzing purchasing data from Ohio State and reviewing the long-term savings that could be achieved if the university did not need to continually purchase disposable containers. They are also reviewing case studies of the product at other universities and working with the company to determine what the system would cost to pilot. If the group dteremines that the reusable container system would be economically beneficial for our dining halls, they plan to approach dining administration with the concept. Their second project is a materiality assessment of student alignment with the university’s sustainability goals. This team is using a variety of data collection methods to evaluate how the student population values the 17 UN Sustainable Development Goals and how Ohio State’s current priorities and initiatives align with those values. They will specifically collect data on whether or not students who resond to their surveys have take na course in sustainability. Sarah and her team are hoping that their assessment will show that taking at least one sustainability class increases students' understanding and care for the university's sustainability goals. If this is the case, they would be able to share their data with academic officials to support the case for creation of a sustainability general education requirement. "Serving on our executive board has given me incredible leadership experience as I was given the opportunity to organize speaking events, tours, and professional development workshops on my own. I have led teams of a dozen students to complete sustainability assessments and waste reduction campaigns, and I have learned how to manage an executive board. All of these are the valuable experiences that I have been able to talk about in interviews for internships and scholarships, and that’s what usually sets me apart from other candidates. So Net Impact has made it possible for me to get involved with what I care about and to advance in my career path even while still in school." "The most incredible realization for me (which still takes me by surprise at each of our weekly meetings) is how genuinely interested our members are in their projects and how much they believe in what Net Impact has to offer. Outside of our weekly general meetings, they get together for an hour a week in their project subgroups, do research, conduct surveys, reach out to professors, and more. Net Impact has enabled me to understand how to harness the passion and interests of such a talented group, and has given me a lot of connections that I would not have otherwise had. This is the most academically diverse team of people I have ever worked with, and it's amazing to see how much value everyone brings to the table. Starting a campus organization was not easy, but Net Impact Davis has created such a strong positive feedback loop that inspires us all to do well, and to do good." Nivi's chapter is one of the newest Net Impact chapters, and they have already seen tremendous growth this year thanks to Nivi's leadership and vision. As founder and president, Nivi has three projects currently underway focused on water management, waste management, and education. Working closely with their advisor, who works at the Innovation Institute of Food and Health, the UC Davis chapter's waste management project team aims to increase awareness of proper composting on their campus, and its members are currently working with designers to produce signage and informational materials for new student orientations in the fall. We can't wait to see what this chapter achieves in coming years in regards to food and health, especially at a top agricultural school in the country. "Net Impact has led me to so many amazing opportunities and inspiring people. My co-president sophomore year, Suhani Jalota, was an amazing mentor and leader of the group. She created her own social enterprise, the Myna Mahila Foundation, so she brought important real-world experience to our group. Net Impact also led me to the Duke Innovation & Entrepreneurship Initiative through our chapter's advisors. 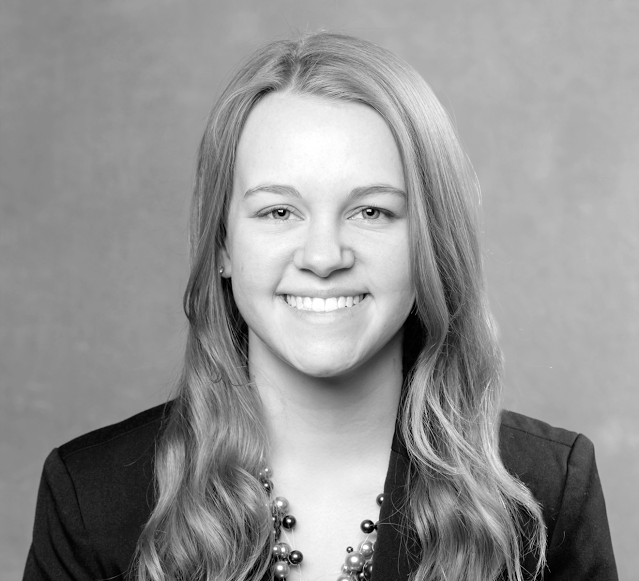 I have been introduced to professors, speakers, workshops, and internship opportunities through I&E, which have all helped to shape my career path towards nonprofit and public policy services." Keiley has been involved with her Net Impact chapter for three years and is currently on the executive board as president. Duke's chapter started the Social Innovators Consulting Program where they gain consulting experience on projects with local social enterprises focused on environment, education, healthcare, and welfare services. The program brings valuable business skills to organizations while exposing Net Impact members to nonprofit/social enterprise management and processes. Under Keiley's leadership, the Social Innovators has expanded from about 20 students each year to 35 currently. Her goal as president was to increase her chapter's efficiency in the program. 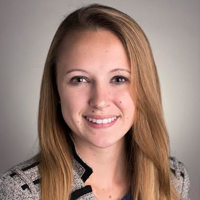 She has achieved that by improving social media and email newsletter reach and by establishing organization with each member of the executive board acting as an advisor for each project, ensuring that the relationship between the students and the community partner is productive and beneficial for both parties. One of her team's greatest successes this year was partnering with the Helius Foundation, which provides free business consulting to struggling entrepreneurs. Instead of 4-6 students, they have 16 students working with them to expand their reach. 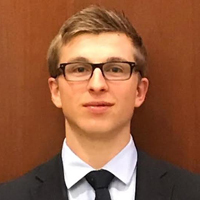 "Being a part of Net Impact has helped me delve into sustainable business at a very high level and facilitated personal connections with other students and professionals who share these interests. I love Net Impact's message and my involvement motivates me to use what I learn in college to promote the values I share with the organization." Michael is currently Net Impact Tulane's chapter president and has been involved with Net Impact for over two years. The growth his chapter has seen has been tremendous considering how new it is to the community. It is attracting local entrepreneurs and change-makers to their bi-weekly meetings and their speaker series has connected Tulane's campus to community and business leaders. Under Michael's leadership, his chapter has formed partnerships with local professionals and businesses who make a difference in their field by hosting on-campus events where they can impart their knowledge on and have conversations with students. With his passion for sustainable and responsible business, Michael has taken his role as a leader to give his members opportunities to learn about careers in social and environmental impact. "Since I joined Net Impact, I have discovered my deep compassion for sustainability, the world, and its people. Resulting in me devoting my minor to Business Sustainability instead of management. People always say you should pick a major for your future/career and pick a minor in something you love and I love everything sustainability. Net Impact has changed my values in such a major way that my only requirement for my future job is that I work for a company is bettering the world with its business rather then further damaging it. In addition, Net Impact has taught me a lot of responsibility and has introduced me to some the most amazing people I have met since first attending Oklahoma State University." Sarah has been involved with Net Impact for almost three years and has led many successful projects as her chapter's president. Under Sarah's leadership, the Oklahoma State chapter has held a social sustainability conference, Bridge the Gap, as one of their social sustainability projects where students and professionals discuss current racial equity issues occurring on a local and larger scale level. It was recognized by their school's PanHellenic Council as the Social Justice Program of the year. Sarah's chapter also established a scholarship program with the business school for students who are given the opportunity to attend the annual Net Impact Conference. The scholarship includes an all expenses paid trip to the annual conference for a lucky four student members of the Net Impact chapter. Along with these accomplishments, Sarah helped research and facilitate the process needed to implement five additional Hydration Stations to be placed on campus in order to save a significant number of plastic water bottles from becoming useless waste. "Being a part of Net Impact completely changed my college experience. 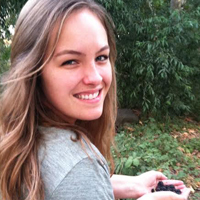 It linked me to like-minded individuals with a passion for sustainability and a desire to have an "impact career." I found my niche on campus as a leader in Net Impact and gained many valuable skills including effective teamwork, problem solving, event planning, leadership, and communication, all while making a ton of good friends. Going on Net Impact industry tours helped connect me to people in fields I cared about and helped me land my first internship at Cisco Systems in Silicon Valley. I've had a lot of fun being a part of Net Impact, and it proved to be completely beneficial in developing me as an individual as well as a professional." 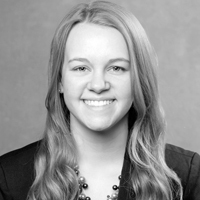 Lauren has been involved with Net Impact for over three years and has been on the executive board for two years. 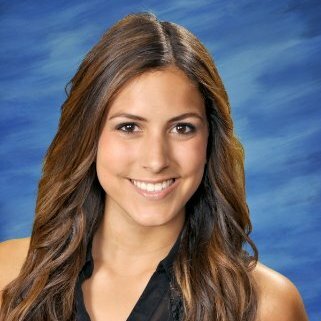 Under Lauren's leadership, her chapter has taken part in a variety of events, projects, and community service efforts. Some of their notable events include: a GMO panel discussion, a Toyota Next Generation Mobility Challenge, and industry office tours at Cisco Systems, Patagonia, and Google in Mountain View, CA. During these office visits that Lauren helped facilitate and arrange, members got a closer look at how to implement sustainable principles within corporate supply chains and the strives these companies make to reduce their carbon footprint and unnecessary harm. Members also got to network with individuals from the company and be a part of the interactive panels. Along with creating these types of opportunities for her chapter members, Lauren has continued the pro-bono consulting aspect of her chapter where they partner with local companies and brands to create more sustainable and conscious businesses. One of their current projects is helping a local company with project management, marketing, and desiging a more user-friendly website. "We like to say in our chapter that if you want to work hard, then we have a place for you. Without the support of the entire chapter, our team could not have performed at the level we did in terms of engaging students in social responsibility and sustainability in business." John has been an integral part of his chapter's executive team and led many successful projects in his two and half years in Net Impact. Every year, his chapter hosts a conference partnering with the Smeal School of Business where roughly 2000 freshmen and sophomore students attend and engage with companies around three pillars: sustainability, corporate responsibility, and integrity. Along with hosting annual conferences and engaging with students during the school year, John led his school's Up to Us competition team and placed in second in the national competition. 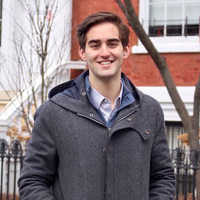 His team engaged with over 4000 students and had a total of 3000 online pledge signatures where students show their commitment to raising awareness on the national debt, to urge our elected representatives to take action on critical fiscal issues, and remind Millennials why their financial future is important. John just completed his undergraduate degree in Corporate Innovation and Entrepreneurship, with a specialization in accounting. He will be returning to Penn State to complete a masters degree in accounting. "Abu Dhabi and the UAE have become a second home not only for us but also for 8.4 million other migrants coming to the country from around the globe. When we first came to NYUAD, we found ourselves in a diverse community that like any other community in the world faces its own challenges and obstacles. As mindful members of our new community, our objective was to foster meaningful dialogue and work together towards the issues that are prevalent to the society as a whole. Net Impact at NYUAD gave us the platform to do so by equipping us with the necessary tools, increasing our reach and opening new opportunities for future impact." 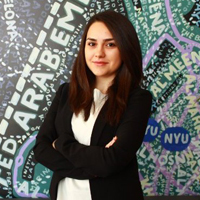 While Anna and Azhar were studying at NYU for a semester, they became inspired by the chapter's initiatives and decieded to bring the same ideologies and platform to their home NYU campus in Abu Dhabi. As co-presidents of their chapter, they strive to foster leaders in creating sustainable social impact in the realms of the environment, affordable helathcare, education, and poverty alleviation. Their chapter hosts lecture series and workshops from leaders in the UAE community who have had substantial social impact through their businesses. Attendees learn about impact investing and the scalability of social impact. They also organized a national case competition, where college students from all over the UAE have the opportunity to put their learnings into a plan of action to create positive change. "One of the greatest accomplishments for us has been bridging the gap between the people coming to NYUAD, and the UAE, from different backgrounds and viewpoints. We got them thinking, talking and contributing to the creation of sustainable environment, affordable healthcare, education and poverty alleviation. This engagement is the greatest achievement we could ask for as we leave NYUAD, because we know that we have now created a community of mindful changemakers that want to make the world a better place." 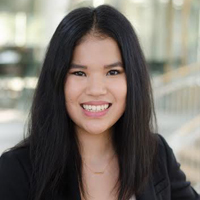 "As a Net Impact Outreach Fellow, I learned so much about community management, civic engagement, and how to collaborate to drive transformational change. It's been truly inspiring to work with an organization that equips emerging leaders with the skills, experiences, and connections they need for a lifetime of impact." As a Net Impact Healthy Food Fellow, Dejah has a vision for a healthier, greener Chicago. This year, Dejah partnered with her elementary school to launch a sustainable organic school garden. Through her Net Impact Fellowship, she's planning a Community Food Day and Celebration to celebrate the beginning and building of the school garden. 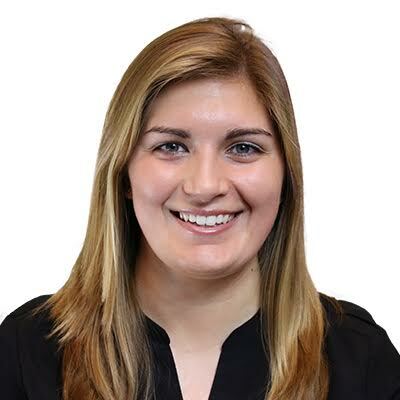 "Working at Net Impact has given me the opportunity to connect students who are passionate about sustainability and social impact to the corporations and organizations who need their input and enthusiasm. It's inspiring to work with our members who are creating solutions for a more sustainable future." 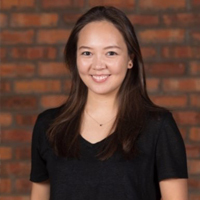 As a Net Impact Design Fellow, Geunbae is leveraging technology for social and environmental impact. 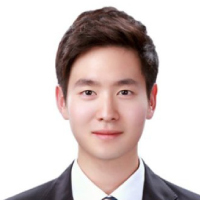 Along with classmates, he's creating a web platform for people to manage their connected devices through the Internet of Things. This project will reduce energy by helping people tailor their energy use to exact needs and will impact the old or disabled who run physical risks by forgetting to turn off stoves or feeling for switches in the dark.